Video reading of two fragments from Arnold Schalks diary ‘De A van Canada’ from 1995 as part of ‘This Neck of the Woods/Dwelling for intervals’, a residency project initiated and hosted by the Canadian visual artists Yvette Poorter between august 2005 and december 2006 in a cabin in her backyard in Rotterdam. 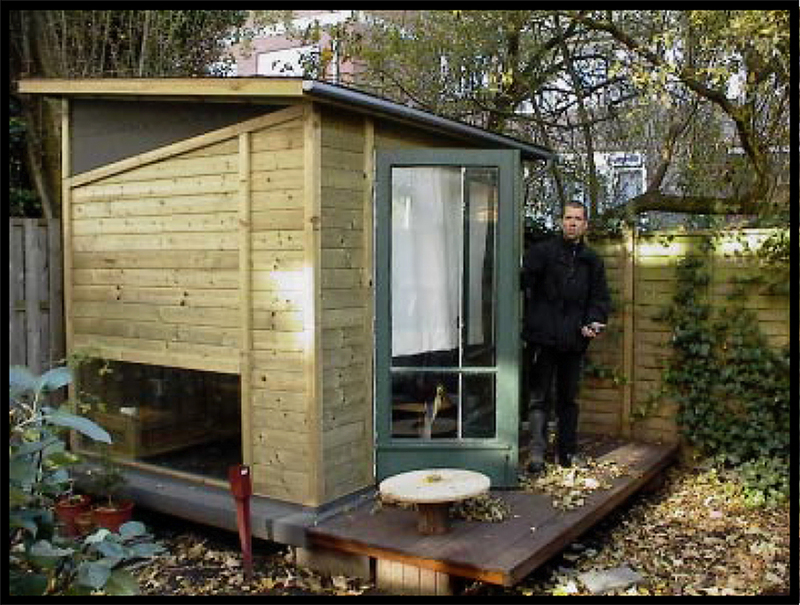 Dwelling for Intervals is an independent state, a sculpture, a series of collaborations, an international artist residency, a wilderness, a tree house, a travelling circus and a relative site/situation for temporary doing and undoing. Read on Sunday, October 16, 2005. 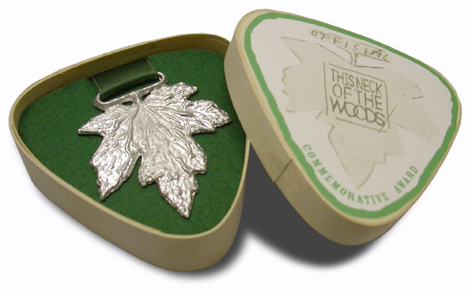 The official TNOTW medal is awarded to you in commemoration of your residency in This Neck of the Woods, a project hosted by Yvette Poorter between august 2005 and december 2006. Feel free to wear this as a mark of recognition on any occasion you see fit and especially when you think there is a good chance of running into another former resident artist. Most resident artists of TNOTW have not met each other. Wearing the medal will make sure you do the next time your paths cross. This award was created by Hester Keijser during her residency in TNOTW. The cast is made from an actual leaf from the maple tree growing outside the TNOTW cabin. The grade-A pewter contains no lead or other poisonous substances and may be safely worn and handled. The Award was presented to me on Tuesday, January 15, 2008, in my studio at the Bloklandstraat 151a by Yvette Poorter and her daughter Mercedes.